PROFESSIONAL REAL ESTATE AGENCY - PURCHASE AND SALES - HOME SERVICES - OUR SERVICES WITH A HEART ! 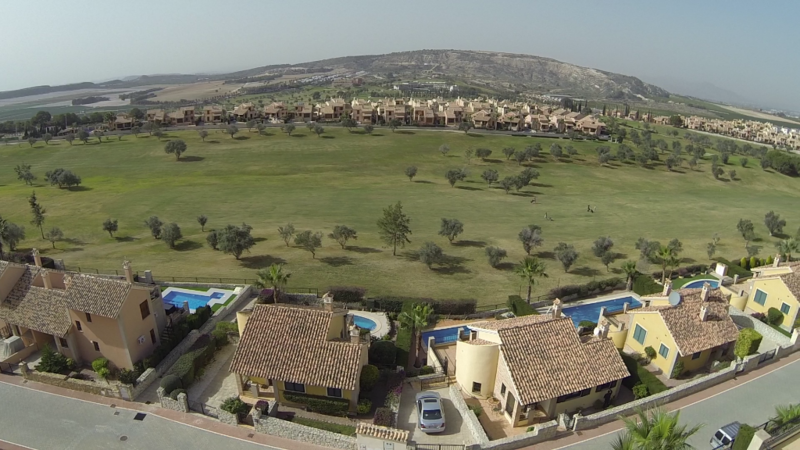 Opportunity: A very well maintained and qualitif property on La Finca Golf, Valverde and a little bit different than a similar apartment.. 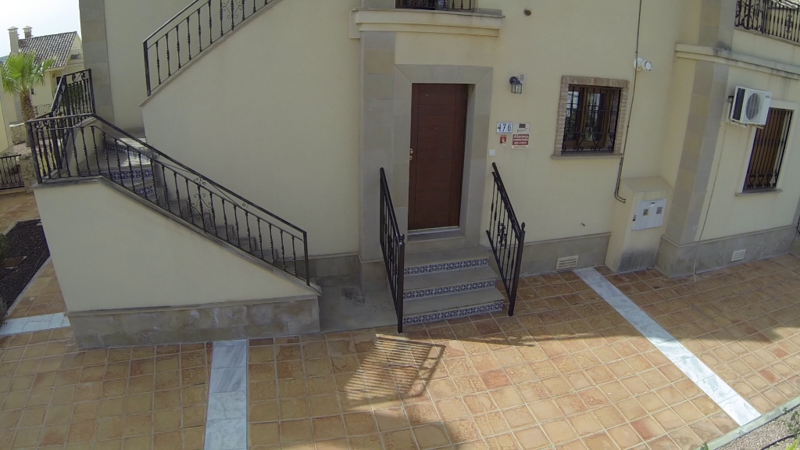 Spacious ground floor apartment,with a large south orientated garden, a seperate entrance to the property and the communal swimming pool, private parking, and on the front side of the property even seavieuws. Located in a secure urbanization. The apartment offers an entrance hall, an American kitchen with breakfast bar, a living room with large windows giving access to the terrace and a large private garden. The house has 2 bedrooms with 2 bathrooms . From the garden there is an access to a well maintained pool surrounded by nice gardens. The apartment is one of the few apartments in this urbanization which offers seaviews. 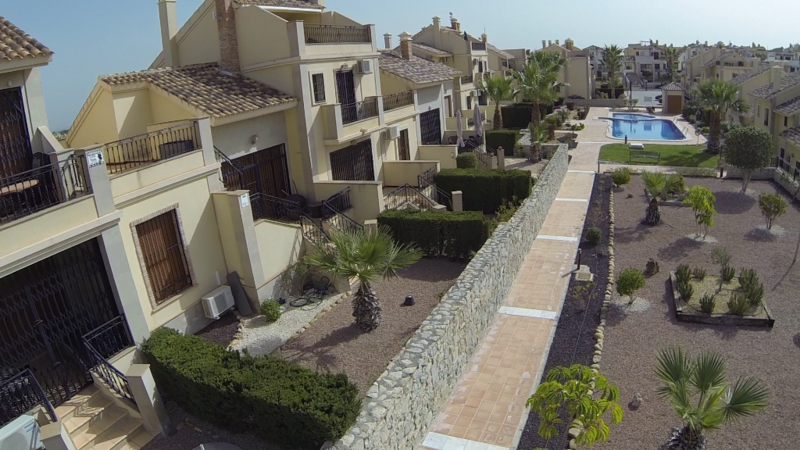 The commercial center is within walking distance, and with an easy access to the motorway Alicante – Cartagena. About 2 km away you will find a supermarket, bars and restaurants as well as into the center of Ciudad Quesada and even a shopping center on the entrance of the La Finca urbanisation. Alicante Airport is 30 min.drive. Definitely a visit worth! Underneed this page you will find a video from the direct environment. Region & Climate Where the Costa Blanca is unique!